If you are looking for an exciting place to hold a wedding or other event, Montauk has the beautiful setting you have always dreamed of. Your wedding could be on the beach, at the Lighthouse, at one of our churches or another location you choose. 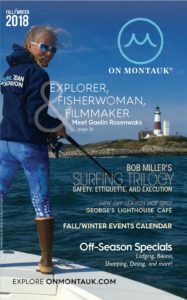 The town of East Hampton requires a permit be filed for any gathering on the beach. A valid wedding license is required for all weddings. Beach Weddings are permitted on the beach with only a permit, which you can get from the town clerk’s office 631-668-5081 For more than 150 guests, you will need permission from the town board. However, parties with alcohol are not allowed on the beach. Remember that parking is limited, and most beaches require parking permits. Montauk has two churches. There are other churches and synagogues in surrounding towns. Several hotels and restaurants will host your wedding or event. Catering for weddings, parties, and events.